My Version of Salsa Verde, With a Red Pepper Added for Taste and Color. To roast the red pepper and chiles, place them in the oven close to the broiler and broil on high until the skin is charred and pulling away from the pepper, or place them on the grill over over a high flame. Turn until charred on all sides. Be sure to check them often, as they can roast pretty quickly. 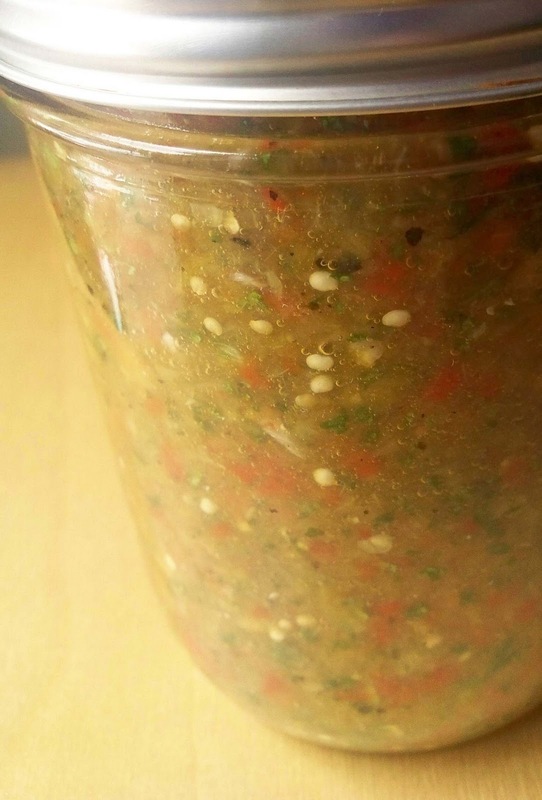 Put the roasted peppers in a lidded container to sweat for at least 10 minutes. To roast the tomatillos, I just put them on a lower rack while the chiles are roasting in the oven. If you're roasting the peppers on the grill, you can wrap the tomatillos in an enclosed pocket of foil and roast them to the side of the high flame. 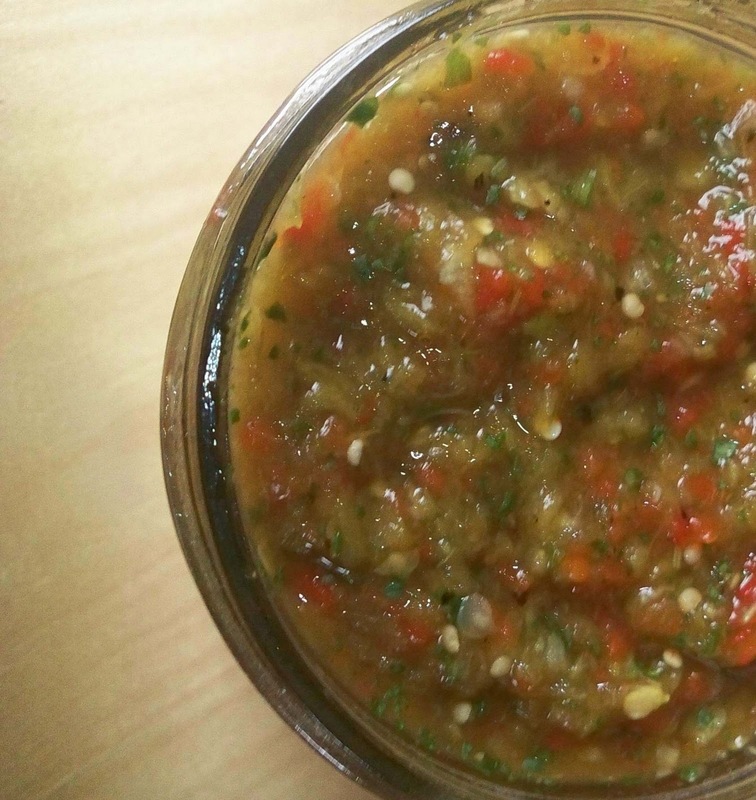 Salsa: Combine all ingredients in a food processor or blender and process until smooth. Give it a taste and add more salt and lemon if needed. Puree for an extra 15 seconds if you add more salt or lemon.